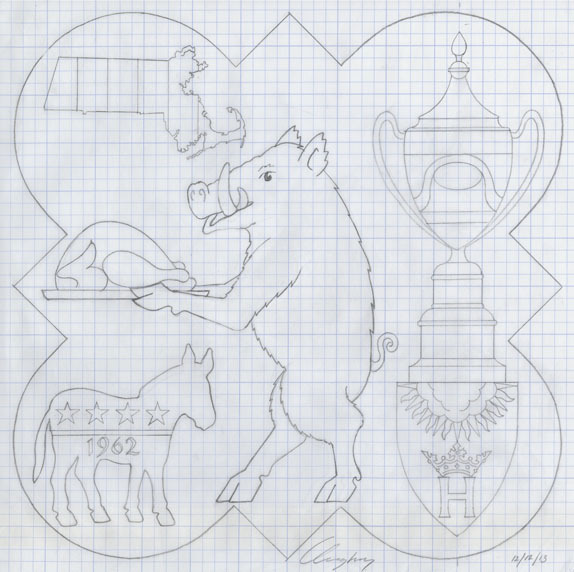 Upper left: The symbol for the Old Hundred club, winners of the 2013 Club Cup competition. Upper center: The granite paving stone with “100%” carved into it representing the 100% participation form members in donations to the Alumni Association. Upper right: The blue and yellow Boston Strong ribbon to honor the victims of the Boston Marathon bombing. 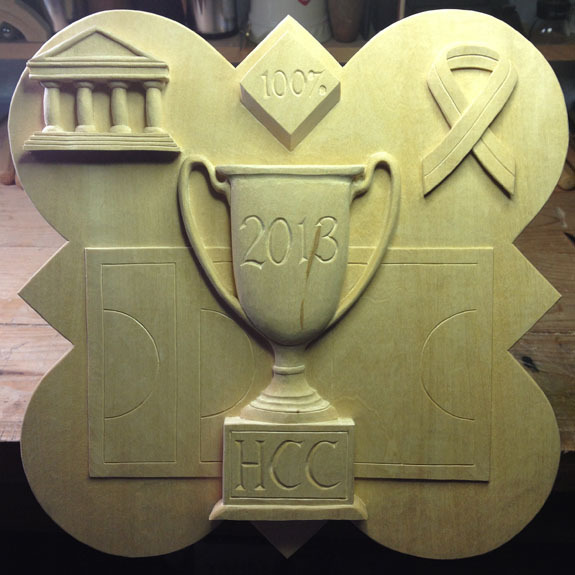 Center: The Hugh Camp Cup with “2013” as the central design – representing the unprecedented four year winning streak for Form of 2013 members. Center background: The Bogle-Lechner field, dedicated on September 29, 2012. Below is an animated GIF I put together from photos taken at different stages of the carving process – watch hours and hours of carving elapse in just 15 seconds! The next step will be to oil the plaque to seal the wood in preparation for the painted finish. More to follow as things progress!